We’re getting ready for the launch of our brand new 3D Printing in Metal: An Overview of Additive Manufacturing with Metals course, beginning March 27, so if you haven’t signed up yet, now is the perfect time! The three-week-long course will help you advance your 3D metal printing know-how in insightful and practical ways. You will learn the basic principles of metal additive manufacturing, its benefits, key uses, and applications. In addition, you’ll learn about multiple methodologies for approaching 3D printing in metal, in both industrial and non-industrial contexts. You will gain an understanding of the materials (metals and alloys) and processes involved in metal AM, and grasp when to employ which, based on capability, mechanical properties, and cost. 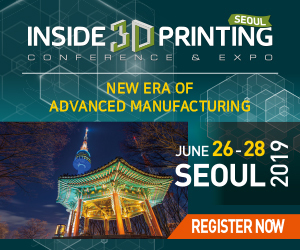 Furthermore, you will learn about design considerations and specifications for 3D printing in metal and hear examples of rapid prototyping and end-use production for 3D printing in metal. Throughout the course, you’ll be invited to complete assignments designed to help you practice new knowledge and engage with tools shared during the live sessions. What’s more, assignments will feature options for both beginners and pros. In Week 1, you’ll be asked to write about your project that you are working on, or hope to start. In Week 2, you’ll start to build out your plan to execute this project, and in Week 3, you’ll finalize your plan and prototype. Each week comes with models, guides, and tools for a scaffolded and supportive learning environment. And once you post your homework, you’ll receive personalized feedback from your coach. By the end of the course, you’ll have a deeper understanding of 3D metal printing, and greater insight into each step of the process toward making your project a success! Don’t miss out on this unique opportunity to achieve your 3D printing in metal goals. To make your 3D metal printing project a reality, sign up for our 3D Printing in Metal course today.